Welcome to episode 76 where Dietitian Cassie and guest host Kevin welcome returning pal Kaila Prins and our new friend, Hadass Eviatar. Hadass is a former vegetarian and Kaila is a recovering Vegan. This helps them lend a special perspective as we discuss Coming Out of the Culinary Closet. We also look at 100-calorie snack packages, a viral story about the impossibility of finding a "perfect" diet, a pair of great recipes, and much, MUCH more! 75: Sam Giganti and Kris Gunnars Talk About Mediterranean Diet Study, Pandora's Lunchbox and More! Welcome to Episode 75 of Low-Carb Conversations With Jimmy Moore and Friends! Today Co-host Dietitian Cassie and Guest-Host Kevin Kennedy-Spaien talk with a pair of fitness instructors, Sam Giganti (of Pure Fitness and Health) and medical school student Kris Gunnars (of Authority Nutrition). Sit back and enjoy our latest talk on the virtual back porch as Cassie and Kevin get our new friends to share their thoughts on this week's latest batch of low-carb and paleo-related news! Topics include new research findings on the healthy effects of olive oil and nuts, the skinny on processed foods, the PSA that Coke doesn't want you to see, why you may not be losing weight even with caqrb restriction, and much more! - State of the Nutrient: Carbohydrate? - Does your diet influence how well you sleep? 74: Amy Dungan and Lisa Crawford Geiger Talk about Drinking Breakfast, Nasty Sweeteners, Tasty Fats and More! Today Real Food activist Lisa Crawford Geiger and Low-Carb columnist and photographer Amy Dungan join cohost Dietitan Cassie and guest host Kevin Kennedy-Spaien for a wide ranging discussion on the current state of low-carb and paleo health! While Jimmy Moore is STILL polishing his great forthcoming book, Cholesterol Clarity (pre-order it on Amazon, folks!) Cassie and Kevin have some great articles (and - FINALLY - decent audio) to share on our virtual porch! Sit back, grab some unsweetened tea and join us for a whole lot of learning and laughter! - Can mountain dew break into breakfast? - Don't have time to eat breakfast? Drink it! - Diet Soda Increases the Risk of Diabetes: Why do we still drink this stuff? 72: Kelly O. Schmidt and Corben Thomas Talk About Vitamin D Research, Animal Rights and More! In episode 72 we get to hear Dietitian Cassie fly solo while talking with our guests Kelly O. Schmidt of PaleoInfused and Corben Thomas of PaleoLife365! In this episode, we discuss why it shouldn't be surprising that "Big Food" wants to be part of training dietitians and nutritionists, why margarine will kill you, why whole grains aren't really low on the Glycemic Index, why "Big Agra" wants us out of their abattoirs, attitudes about the obese and food addiction, and much, MUCH more! 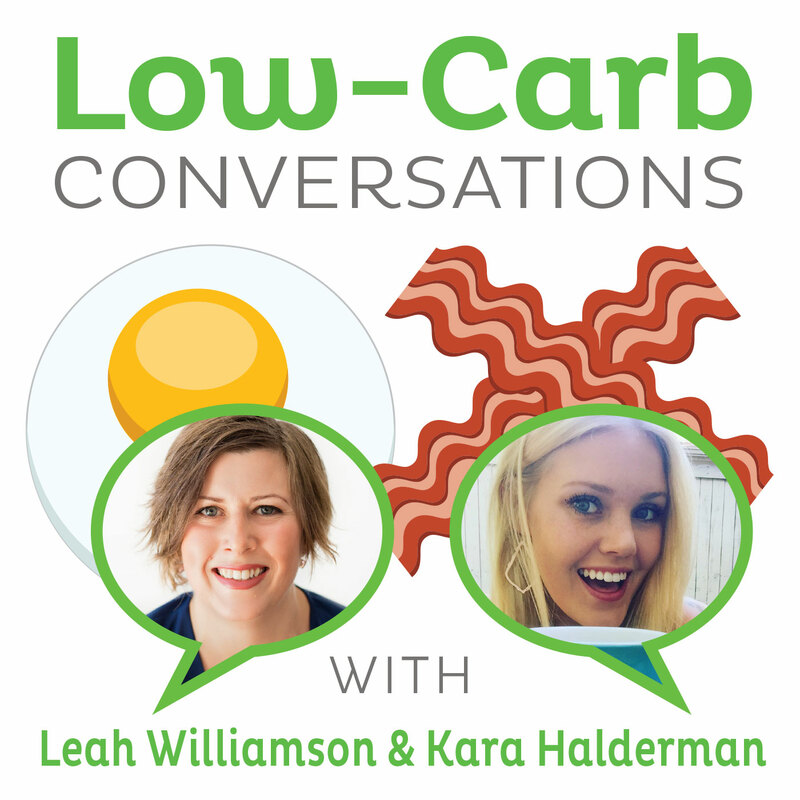 “LOW-CARB CONVERSATIONS” PODCAST IS LISTENER-SUPPORTED! : CLICK HERE to donate and keep this show going! THANK YOU for your support! 71: Jessica Kempf And Eric Schmitz Say Eating Right Is Not Just For The Rich Or Food Snobs! Welcome back as our special low-carb friends Jessica Kempf of the Budget For Health blog and returning friend Eric "That Nice Boy Dana Carpender Married" Schmitz of mytotalgymtransformation.com join co-hosts Dietitian Cassie and Kevin Kennedy-Spaien. Bacorn, Kale chips and much, MUCH more! Please note that Kevin was viciously attacked by his microphone this week. As a result that mic had to be put to sleep. He hopes to sound better for episode 72! We’re now LISTENER-SUPPORTED: DONATE HERE! Is a Paleo Diet just for the Snobby Elitist? Health Expert says "Fat is Awesome" Should you Eat Clean? Welcome back for another fantastic episode of Low-Carb Conversations With Jimmy Moore and Friends! Today is special for a few reasons: First, Jimmy's not here- he's taking a break to write a new book. Second, It's our special 70th episode. Woot! Of course it is also special because of our great guests Adam Kosloff and Mark Spurbeck who are joining Dietitian Cassie and guest-host Kevin Kennedy-Spaien today. Adam is the author of Beyond Caloriegate and the voice of the Escape From Caloriegate podcast and Mark is one of Minneapolis' most prestigious personal trainers through his company Fit Twin Cities. Should Health Insurance Be Like Car Insurance? The RIsk vs. Reward Scale: Are You Using It? Today's recipe is Adam's dad's pot roast from their book, The 12 Essential Low Carb Cooking Skills: Plus, 49 Simple, Scrumptious Low Carb Diet Recipes. Pot roast is a good simple one-pot meal that requires a minimum of fussing. Like any braise, it takes some time to prepare. It is easily prepared in a slow cooker. (Follow manufacturer's directions for cooking time and temperature.) This recipe is very basic, but fail-safe. Preheat the oven to 375 degrees. Season the meat on all sides with salt and pepper. In a Dutch oven, brown the meat on all sides in the extra virgin olive oil. Add the tomatoes, the onions, the herbs de province, the bay leaves and the rest of the veggies. Make sure all the herbs and veggies are immersed in the liquid. Bring back to a boil. Tightly cover the pot and place it in the oven. Roast for about 3 hours, or until the meat is tender. When done, remove the pot from the oven. Remove the meat and allow it to rest on a cutting board. If the jus is too thin, return the pot to the stove top and boil to reduce it. The jus should be thin but well-flavored. Correct the seasoning. Slice the meat and serve accompanied by the veggies and jus, garnished with parsley, or, you can serve a few chunks of the beef atop some pureed veggies with a bit of the jus over top and garnished with the parsley (yum!). - Does Wheat Make You Fat? - Bananas – Nature’s Most Perfect Food? - 13 Banned Foods Still Allowed in the U.S.
- What’s causing obesity? I can’t believe it’s not butter. We've got another funtabulicious Friday here today in Episode 68 of Low-Carb Conversations with Jimmy Moore & Friends. Your two congenial and lovable co-hosts Jimmy and Dietitian Cassie are in their rightful places ready to tackle the latest health headlines of the day. This podcast is one of the most unique in the low-carb and Paleo communities because you get to hear real opinions from real people living this lifestyle sharing the real deal about the nutrition and health ideas of our day. We give 'em all the white gloves treatment and tell it like it is. If you like what you hear, then remember we are LISTENER-SUPPORTED and your donations really go a long way towards helping us continue bringing you more opinions galore in the weeks, months and years to come. 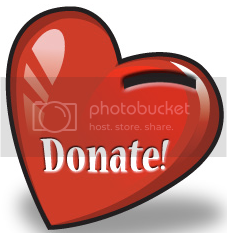 If you enjoy our weekly romp through the health headlines that you hear on "Low-Carb Conversations" and want to help us out, then you can make a donation to keep us on the air throughout 2013 and beyond. THANK YOU for your support! We've got two more awesome guest friends from the Paleo and low-carb blogging community joining us today as we welcome Sam Feltham from "Smash The Fat" and Jennifer Courtney from the "PaleoMomRx" blog. Listen in as Jimmy and Cassie talk about what foods RDs would eat and wouldn't eat, how so many people are diagnosing their health online these day and how listening to health podcasts can actually lead you to lose more weight than those who don't. Then they invite in Sam and Jennifer to address how a medical doctor gets it all wrong about high-fat, low-carb diets, the absurdity of the new Coke anti-obesity ads focusing on calories, whether "fat genes" determine whether you'll become obese or not, the viability of BMI for measuring obesity, the negative effect of carbohydrates on the brain and the fact that there is 30% more sugar in cereals sold in the UK than in the US. And then our favorite part of the show is the recipe and cooking tips time at the end with Sam and Jennifer featuring a chicken fajita dish. Now you know what to do: pull up a chair, grab a cup of coffee and let's talk! - Sam Feltham from "Smash The Fat"
- Do high fat, low carb diets work? - Britain's biggest cereal brands contain 30% more sugar than same products in U.S.
Cut 1 tomato, ½ red pepper, birdseye chilli and red onion to make a salsa. Spoon out the avocado and chop up the other tomato, mix those together, squeeze the lime in and mash it up to make a guacamole. Slice the other ½ of the red pepper and chicken into strips. Fry them in the olive oil. Once cooked put on a separate plate. Now comes the low carb bit. You'll be using the lettuce leaves as tortillas to make the fajitas. With a leaf in hand spread on some salsa, guacamole and place some fried chicken peppers on top. Roll it up and eat it up, but be careful as I have had salsa juice run down my top on a couple of occasions!